If you think other games better reflect this player's ability or you want to request a profile on a specific player, email me or hit me up on Twitter. Lewisville native Jamal Adams was a star at Hebron High School in Carrollton, where he notched 138 tackles and 7 INT as a defensive back and 20 TDs as running back in two years. The 5-star recruit went where all the good defensive back recruits go, LSU. He started 2 games as a true freshman and played in 11 others 66 tackles, 1 sack, 5 TFL and 5 passes defended. 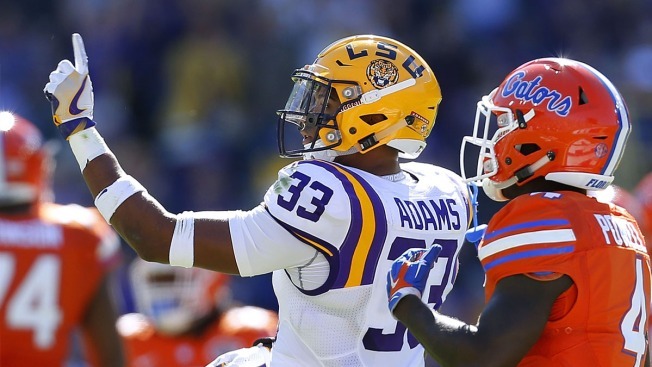 Adams steadily improved after being named the starter in 2015, finishing with 67 tackles, 5 TFL, 4 INT, 6 passes defended and second-team All-SEC honors. He was even better in 2016, earning All-America honors with 76 tackles, 7.5 TFL, 1 INT and 4 passes defended. He now looks to follow in the footsteps of his father, George Adams, a first-round pick who played for the New York Giants and New England Patriots from 1985 to 1991. 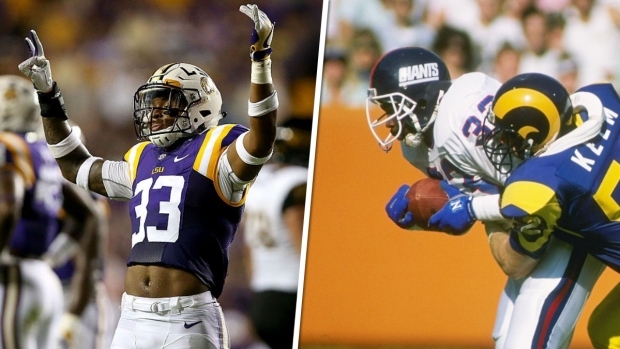 LSU safety and North Texas native Jamal Adams looks to follow in his father's footsteps as an SEC star being picked in the first round of the NFL Draft. The thing that really sets Adams apart is his intelligence. Not only did he make calls in the secondary for LSU, his grasp of the entire defense and understanding of route combinations allowed him to freelance intelligently. Combine that with his aggressiveness and physicality, and he can be a team's Landon Collins from Day 1. Adams would be perfect in the Cowboys secondary, fitting as a box safety that would allow Byron Jones to play center field. 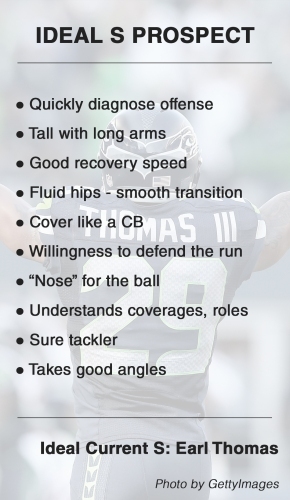 He's physical against the run, sticky in coverage and simply a natural playmaker. The only problems is that the North Texas native won't last until the 28th pick. • Derek Rivers, Youngstown St.